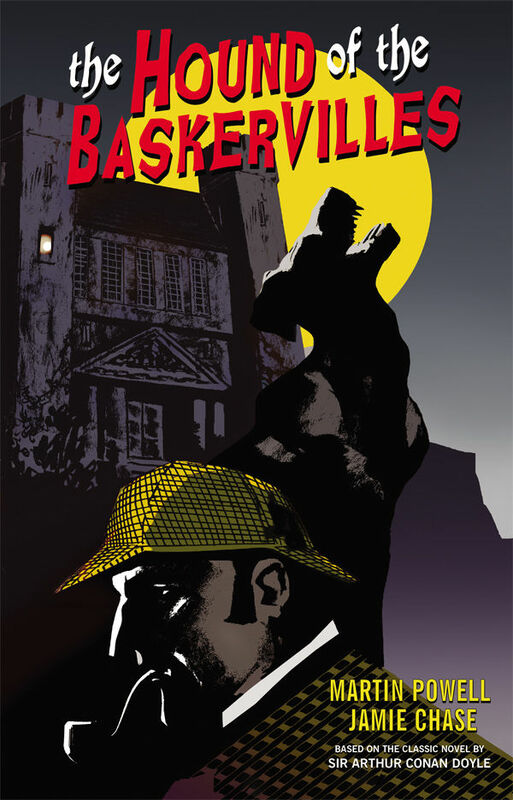 Jamie Chase's long-awaited graphic novel adaptation of The Hound of the Baskervilles, Sir Arthur Conan Doyle's best known Sherlock Holmes mystery, was released on February 13th by Dark Horse Comics. To celebrate, Jamie will be signing copies at Big Adventure Comics in Santa Fe this coming wednesday from 4-7 pm. The greatest detective of all time investigates the seemingly supernatural in this version of Doyle's classic novel. Writer Martin Powell and artist Jamie Chase blend modern comics, classic detective fiction, and the adventurous sensibilities of the pulp novel into a delectable Sherlock Holmes mystery that appeals to new readers and old fans alike.